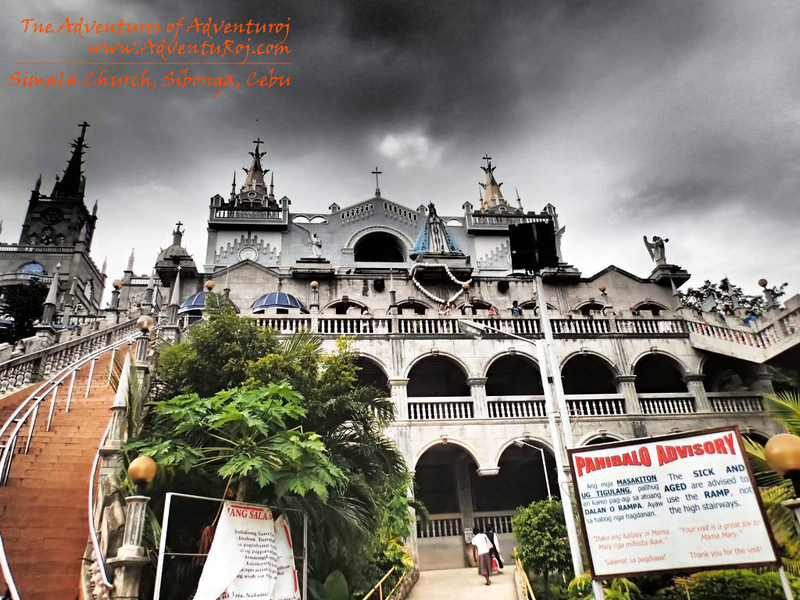 go to simala church | The Adventures of AdventuRoj! It was a cloudy afternoon of the 13th of December 2012 when my travel buddy and I, scheduled to set off to our Visayas backpacking adventure –a travel that will cover Southern Cebu, Negros Oriental (Dumaguete), Siquijor, Negros Occidental (Bacolod), and Iloilo. Leaving Cebu City an hour past lunch, we headed to the Southern Cebu Bus Terminal and boarded a bus that will pass by Brgy. Simala, Sibonga, Cebu. I’ve always heard of stories of miracles told about this particular church in Brgy. Simala. 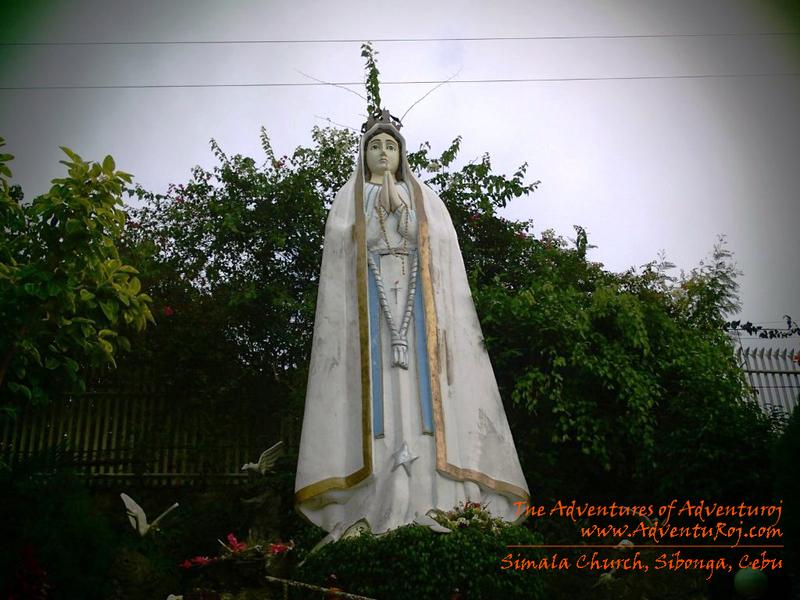 Aside from it’s striking castle like structure, local folks and the monks of Simala Church claimed that they witnessed several miracles and one of the miracles that they witnessed several times is the crying of the statue of Virgin Mary. 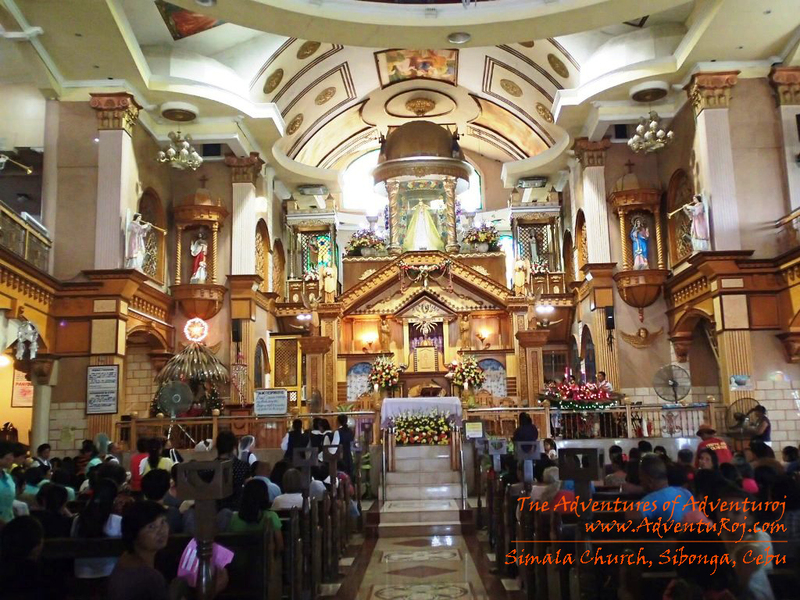 By then hundreds of pilgrims travel to Sibonga and visit the Simala Church. In the past decade the church was very small but because of non-stop flow of donation by many pilgrims and by commercializing the Church, it’s structure changed to a very elegant and beautiful Church on the mountainous Sibonga. 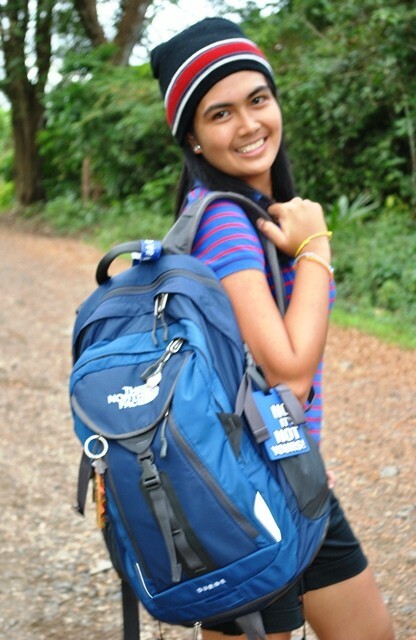 A blessing that I think God is showing me to chase my dream to travel, for there’s no other better way to start one’s adventure than being blessed and enlightened by His word. 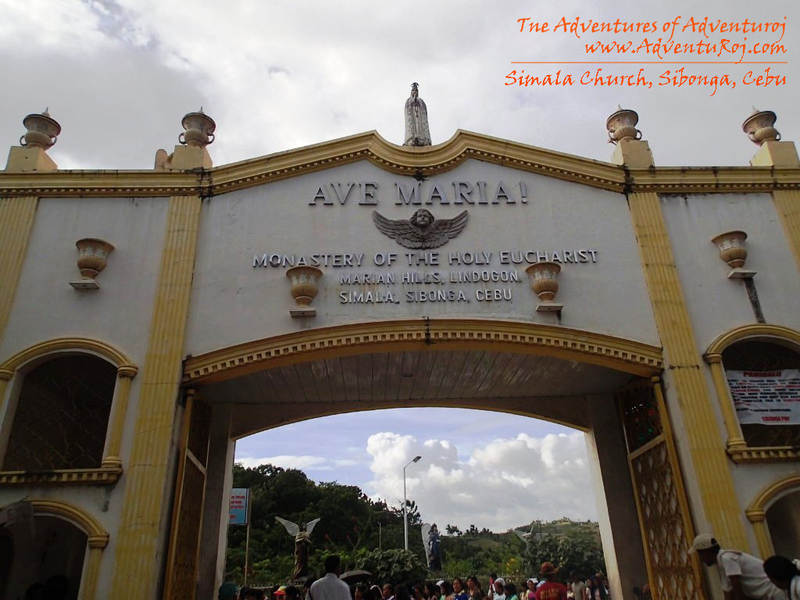 How to go to Simala Church? 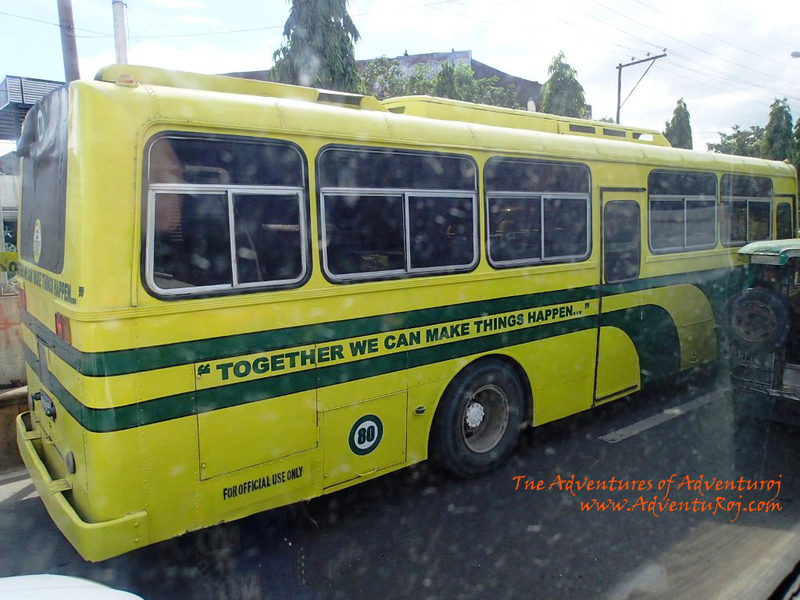 Getting there is you have to be in Cebu City then go to South Bus Terminal and ride a Ceres Bus going to Sibonga. It’s easy to find the Church because the Bus driver will inform the passengers once you get there. It’s a 2 hour and a half hour ride from Cebu, by the time you reach the stop point for the Church you will take a motorcycle ride to bring you to the Sanctuary. 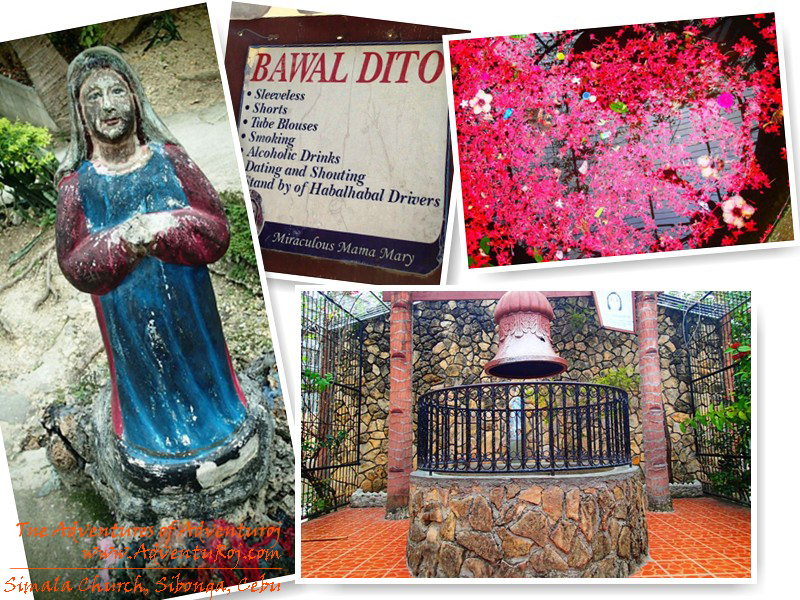 CEBU CITY, Philippines – No place is too far to visit for a miracle. 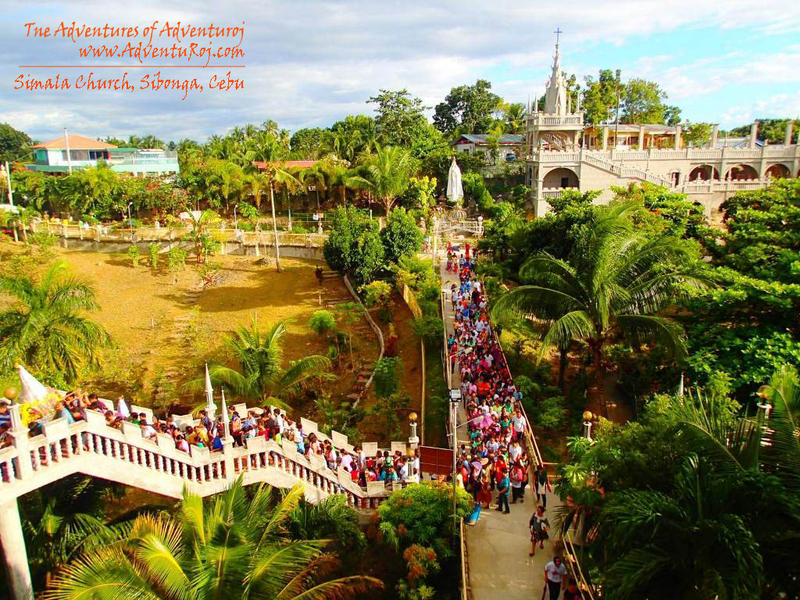 In south Cebu, thousands of Cebuanos and other visitors from far and wide, climb up a hill to the Mother Mary Shrine in Simala, Sibonga town, bringing their faith and petitions for cures and other divine aid. Each year, the crowd of devotees and first-time pilgrims seems to grow bigger. January 1 is marked in the Christian calendar worldwide as a solemnity in honor of Mary as the mother of God, a day of obligation for Catholics to attend Mass. At the Mother Mary Shrine in upper Lindogon in Barangay (village) Simala, Sibonga town, 48 kilometers south of Cebu City, devotees come by truckloads to be there every 13th of the month to hear Mass at 10 a.m. and 3 p.m. or during the weekends at 3 p.m. The shrine became “famous” after word spread that the image of the Virgin Mary was seen “shedding tears of blood,” a phenomenon that lacks scientific or official church validation but nevertheless draws more people to the area. Driving to Simala shrine by private car from Cebu City means two to three hours on the road, barring heavy traffic in the outlying towns. Public buses ply the south Cebu route but one would have to get off a corner of the national road to reach upper Lindogon and hail a motorcab or a habal-habal (motorcycle-for-hire) for P20 to take you to the shrine about four kilometers up the mountains. 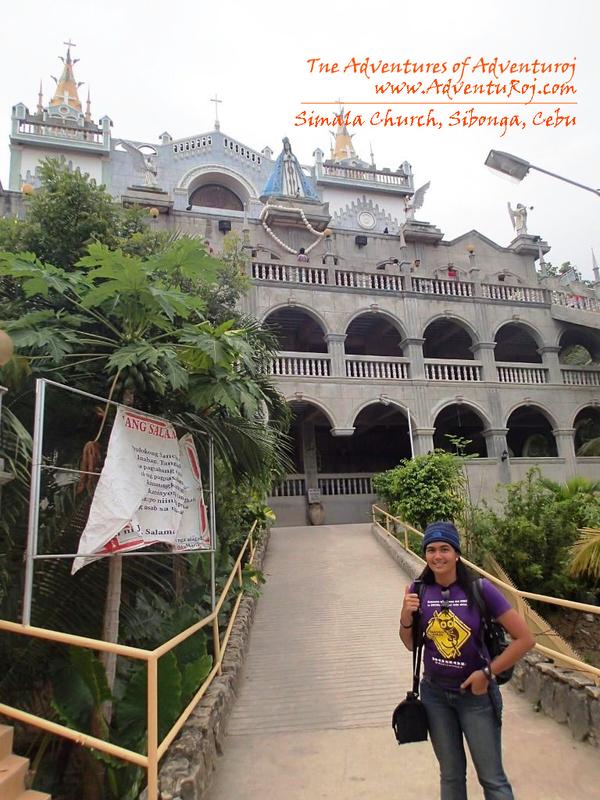 At the site, one has to cross a foot bridge and walk up a concrete pathway to reach the church, an imposing concrete structure at the top of the mountain. It takes about 10 minutes to reach the peak, which offers a breathtaking view of green slopes and fresh air. The Marian monks who maintain the shrine have also landscaped the area, which has a mini falls that cascades down a small pool and well-tended gardens. Signboards warn people that picking the flowers would be like “stealing from Mother Mary”. Families can have picnics and meals in cottages built for visitors. Children like to throw coins in a wishing well which features a large bell. Carenderias outside the gates of the shrine are proof of the steady volume of visitors in Simala. While the church exterior is imposing, the interior is clearly a work in progress. The floor doesn’t have tiles and the church is not completely roofed. The hall is filled with wooden pews that look up to an elevated makeshift altar, where the statue of Mary is visible. Scaffoldings around the makeshift altar show work still being done on the ceiling. The rest of the church has no ceiling yet, which makes it humid inside, eased only by the breeze that wafts inside the tall windows on each side of the church. 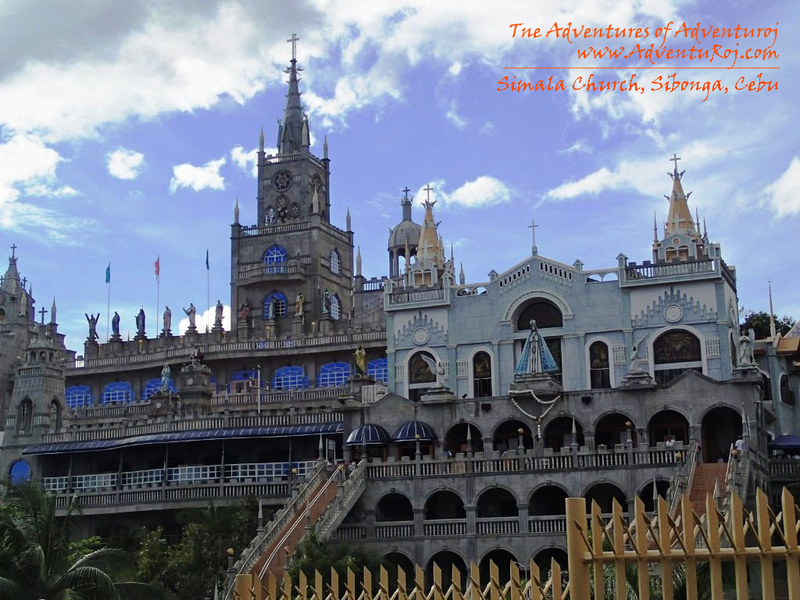 A major purpose of visitors and devotees who go to Simala is to offer their petitions. Blank sheets of paper and pens on which to write their intentions are prepared by the monks for one to drop in a box at the right side of the glass-encased Marian image. Thank you letters are dropped in a box to her left side. Visitors in lone queues walk barefoot to the statue. Since the area is considered sacred ground, shoes and footwear have to be removed and modesty is part of the dress code. Wearing of shorts, body-hugging blouses or sleeveless shirts is not allowed. Visitors who come dressed in this attire are asked to cover up with sarongs or malongs, prepared by the monks at the entrance. In front of the Marian image, one is given only a few minutes to either kiss or say a short prayer, so as not to hold up the line. Two other lines lead to a display of veils similar to the one the Marian image was wearing on the day believers said the “Birhen sa Simala” “shed” tears of blood. 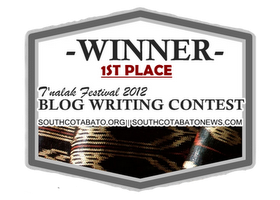 On one display, the veil is placed on a low altar, where one can kneel and place the veil on one’s head while praying. The other one is placed on another statue of Mary. To view this, devotees have to stand within the folds of the veil and hold on to the hands of Mary while praying. The path leading to both veils is lined with wooden cabinets where written petitions and thank you letters from as far as the United States and other countries are posted. Most petitions ask for a divine cure for ailments of the seeker or a family member’s. Several petitions were made by students seeking to pass the Bar or board examinations. Others seek help in finding jobs abroad. In another cabinet, thank you letters are laid out, full of gratitude to Mary for answered prayers. While waiting for the line to move, reading the letters is an engaging past time. One woman sent a package containing her nursing uniform, her offering of thanks to Mary for passing the nursing licensure examination. Further on is a cabinet crammed with wheelchairs and crutches offered by those who were cured of their ailments. 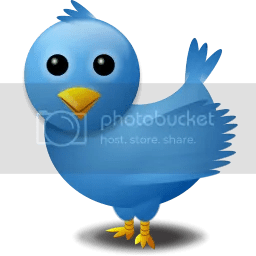 The sight is a moving, modern day wonder, echoing Bible stories about the sick and lame who were able to walk again or were freed from their maladies by Jesus Christ. 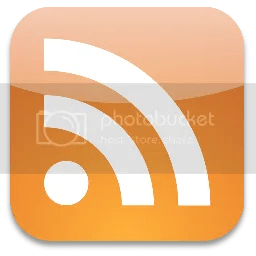 Now you can stay connected to work by accessing your online private work space remotely from anywhere on your preferred device(PC/Mac/android/iOS) with Cloud hosted citrix vdi and Hosted QuickBooks from Apps4Rent.com with 24*7*365 days top-notch technical support.